When buying a new home there are 3 types to consider: a custom home, a developer-built home, or a model home. What's the difference? You have endless choices with a custom home. The products and materials you select are up to you! Developers usually have restrictions on the products and materials you use. 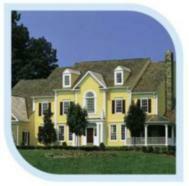 They've made agreements with suppliers for quantity concessions, so the selection is narrower than with a custom home. For model homes, the likeliness of making changes to the kitchen will depend on how far along the construction is. Typically, you will get what you see.